The California Air Resources Board on Thursday announced it's moving forward with a plan to clean up the toxic air that plagues the San Joaquin Valley. The region, which stretches from roughly Stockton to Bakersfield through the middle of the state, suffers some of the most dangerous air quality in the country. Asthma and asthma-related hospitalization rates in the San Joaquin Valley are among the highest in the state, particularly in children. A major culprit is fine particulate pollution, known as PM2.5, made up of tiny particles like soot, dust or sulfates floating through the air. These particles are 2.5 or fewer micrometers in diameter and are typically produced by the burning of carbon-based fuel. Not only does the San Joaquin Valley have the worst particle pollution in California, it's also the among the worst nationally, failing to meet four federal standards. 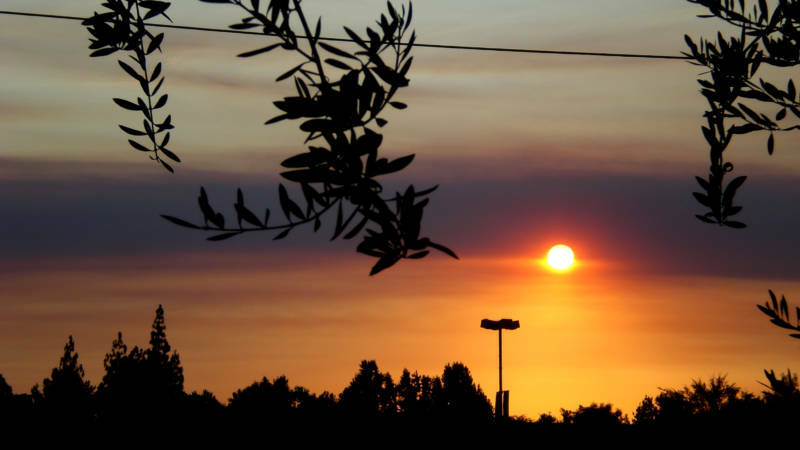 "The San Joaquin Valley has had a longstanding challenge in meeting the federal air quality standards for fine particulate," says Michael Benjamin, chief of CARB's Air Quality Planning and Science Division. The region is still struggling to meet PM2.5 standards established by the U.S. Environmental Protection Agency in 1997 and since revised. Due to it's history of noncompliance, the San Joaquin Valley Air Pollution Control District is required to draft a plan to meet the requirements and submit it to CARB, the state's clean air agency, which must approve it before passing it on to the EPA for federal approval. Benjamin says the combination of agricultural emissions as well as those from the high volume of trucks moving through the region makes it a hot spot for these pollutants. In addition, the valley's hot, dry summers followed by cool winters trap pollutants in the air. Roughly half of the fine particulate pollution in the region is the product of burning fuels like gasoline and diesel. The other half is primarily from wood smoke and dust, according to CARB. According to the American Lung Association, the health risks associated with particle pollution include asthma attacks, heart attacks, stroke, cancer and harm to developmental and reproductive systems. The state's new plan, which the district drafted with input from CARB and environmental advocacy groups, combines both regulations and financial incentives, with the goal of meeting federal clean air standards by 2024. The plan lays outs tighter restrictions on heavy-duty truck emissions, wood-burning stoves, oil refineries and commercial charbroiling. Benjamin says the plan will also rely heavily on the use of incentives to encourage owners of trucks and tractors to move to new, "cleaner equipment." "We're telling people, 'Okay you need to replace your tractor maybe 10 years sooner than you would otherwise. But if you do that, we will provide 50 percent or more funding to offset the cost of that new piece of equipment." The goal is to turn over 12,000 tractors and 33,000 trucks in the process. But it's still unclear where the funding will come from to pay for the incentives. The district's plan calls for the allocation of $5 billion spread across the next five years to get the San Joaquin Valley up to code by 2024. "The concern of a lot of people is that it relies on the governor and the Legislature allocating funds for this every year," Benjamin says. Bill Magavern, policy director for the Coalition for Clean Air, an advocacy group, says his organization is "skeptical" of the financial feasibility of the state's plan. "They're relying on levels of incentive money that have not been available in the past, and are unlikely to be available in the future," Magavern says. "If that money doesn't materialize, then there's going to be a gap." In 2016, the Coalition for Clean Air advised CARB to reject a previous plan by the district to meet federal standards for particulate pollution. "We thought what was presented in 2016 was really just a 'business as usual' plan," Magavern says. "We thought that was unacceptable." While the new version goes a lot further, Magavern says the coalition pushed for even tighter standards in order "to have more certainty in bringing down the emissions." Magavern says the San Joaquin Valley's oil and gas industry should be more heavily regulated for their contributions to the region's pollution. "It's been a long effort to try to get the pollution under control and there's been some progress," Magavern says, "But we're definitely not where we need to be." While CARB signed off on the district's plan on Thursday, the EPA approval process could take at least several months. But CARB's Benjamin says the state won't wait for the federal government to weigh in before starting to implement the plan. "In order to hit our target," he says, "We're going to need to just move forward in real-world terms—taking these actions, passing these regulations, passing out money, finding money, turning over equipment and doing all of this regardless of the bureaucratic process." Benjamin says the region has made significant progress in recent years. Many of the regulatory measures put forth in the plan have already been adopted by CARB, and others could be put into effect as early as late 2019. "Ninety percent of the emissions reductions that are going to be needed to achieve clean air has already been adopted by CARB's board," Benjamin says. "So what was acted on Thursday was the final 10 percent of emission reductions."